You'll be £19.99 closer to your next £10.00 credit when you purchase The School of Fencing. What's this? 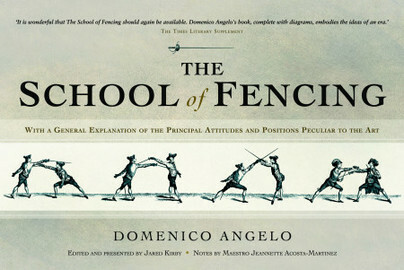 Domenico Angelo’s The School of Fencing was first published in 1763 as L’Ecole des armes and was one of the most popular and influential treatises of its time. Today, it remains essential reading for any historical swordfighter, student of martial arts, or military historians, giving the reader access to one of the great masters of the art. This modern edition is annotated by Maestro Jeannette Acosta-Martinez, who is currently the foremost expert in the French small sword. Her additions to this edition help clarify Angelo’s text for the modern reader. This edition also includes an Introduction by the editor, Jared Kirby, which gives a short history of Angelo’s life. A charming book of great historical importance for both sword collectors and modern historical fencing enthusiasts. edition contains many illustrations. Essential reading for all historical swordfighters and students of martial arts and military history, much recommended. Jared Kirby is a historical fencer who edited and helped translate Capo Ferros Italian Rapier Combat and Vincentio Saviolos A Gentlemans Guide to Duelling. He lives in New York City.